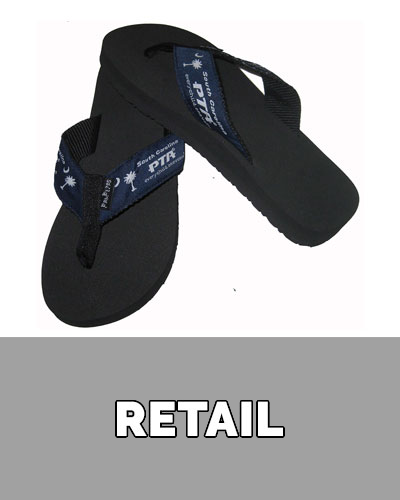 Welcome to FanFlips – Custom Spirit Flip Flops! 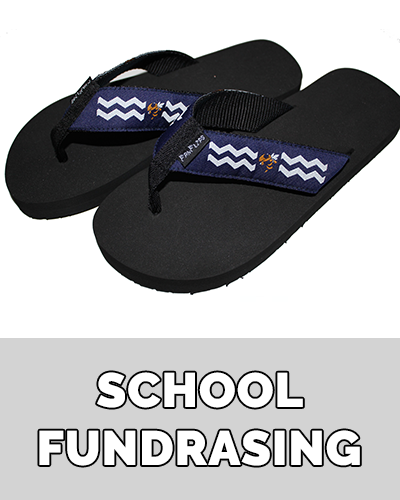 FanFlips Spirit Flip Flops started 16 years ago, and has had the wonderful opportunity to work with numerous K-20 school fundraising and retail stores, corporate entities, theme restaurants and retails, event planners, branding and merchandising specialist and so many others. Our customer satisfaction is unparalleled, and indicative by our 100% client retention and no returns history. FanFlips works hand-in-hand to create new revenue streams, enhance fundraising profitability, and increase branding and visibility. 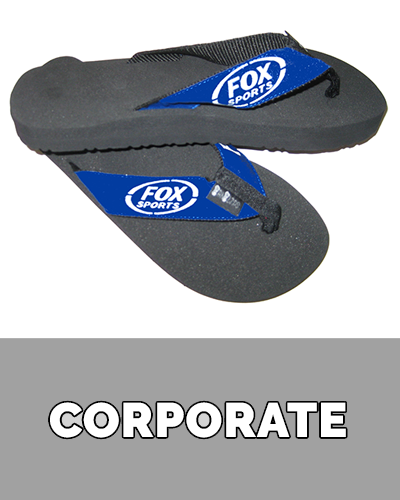 FanFlips Spirit Flip Flops are designed and produced to reflect your specific content, messaging, text, color schemes, and images. The strap content is your palette to match your creativity and vision. The content on the strap is embroidered/woven into the strap, not screened, so it will never rub off. 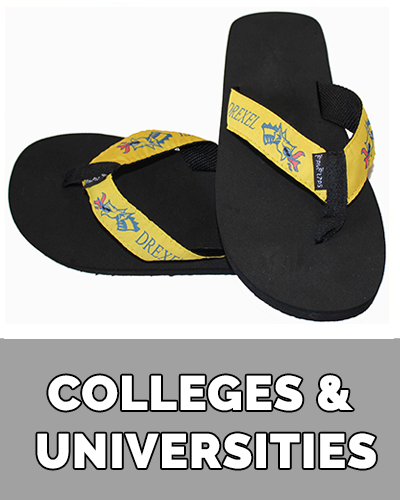 The comfortable rubber sole has a contoured arch support for extreme comfort. The fabric straps feel great with web backing to add structure and durability. 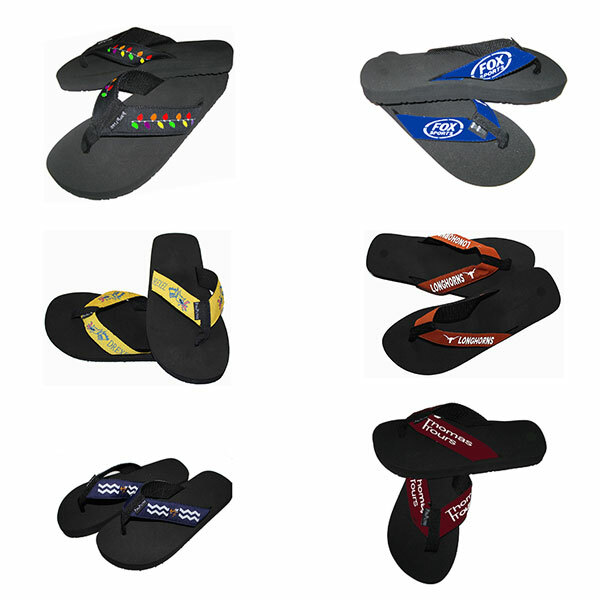 FanFlips flip flops are available in children sizes XXS to adult XXL sizes. FanFlips can warehouse and drop ship inventory on an “as-needed” basis. FanFlips started 16 years ago. We take pride in having a 100% Client Satisfaction and Retention Rate. Our goal is to provide you with the best experience by providing high quality products and exceptional service.